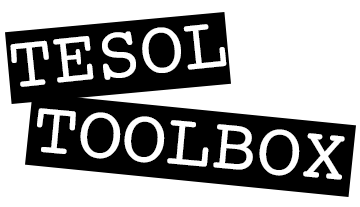 Welcome to TESOL Toolbox! Tools and Techniques for resourceful teachers. My name is Mark Trevarton. I live and work in Bangkok, with one foot in teaching and one in academic management. This blog is a work in progress, intended for teachers, teacher trainers and ELT managers of all levels of experience. I hope you enjoy it! Get in touch with me at tesoltoolbox@gmail.com or leave a comment below. Great idea and nice design! OHHH MAAN!! !let me be honest: I’ve been surfing the web and went through countless websites since I’ve started my TEL course…..and BELIEVE me, so far YOURs is ABSOLUTELY GREAT in every meaning…..I THINK WHAT YOU POST IN HERE IS DEFINITLY an IMMENSE HELP AND GREAT RESOURCE 4 ANYBODY engaged with the TEL world…….KEEP IT UP….I’m sure your website DESERVES A LOT MORE!! !GREAT, REALLY GREAT!FANTASTIC! !